The Library Foundation's annual gala features stories that illuminate the importance and impact of the Austin Public Library. Our gala offers guests a festive evening inside the city's most inviting public space: the Central Library. You'll learn, dance, mingle, and celebrate throughout the building, hear from a notable author, learn about the Austin Public Library's dedicated staff and their work, and enjoy live music, food, and drinks. 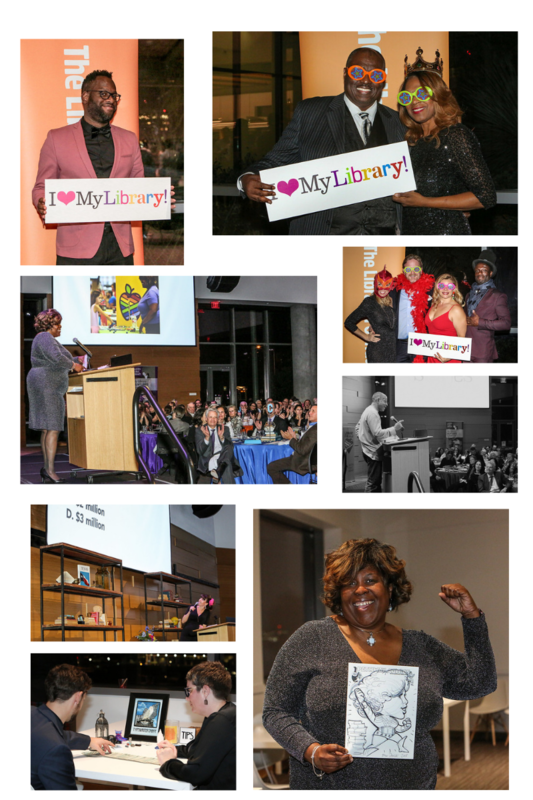 Better still, your memorable evening in the Central Library helps enhance library programs, resources, and offerings! Last year's gala featured author Paul Beatty, the first American writer to win the Man Booker Prize in 2016 for his novel The Sellout. KUT's Rebecca McInroy hosted the event, which also featured personal stories from three librarians, a cocktail reception in the Central Library art gallery, and an after-dinner dance party (with caricature artists and tarot readers!) on the rooftop garden. Our 2019 gala will be held the evening of Friday, November 8. Ticketing, sponsorship, and program details will be announced this summer. To learn more about the Stories Gala or to inquire about sponsorship, email Director of Programs & Events Cecily Sailer at csailer@austinlibrary.org.